The ABUS-HUB1X4 has 1 input and 4 zone outputs. 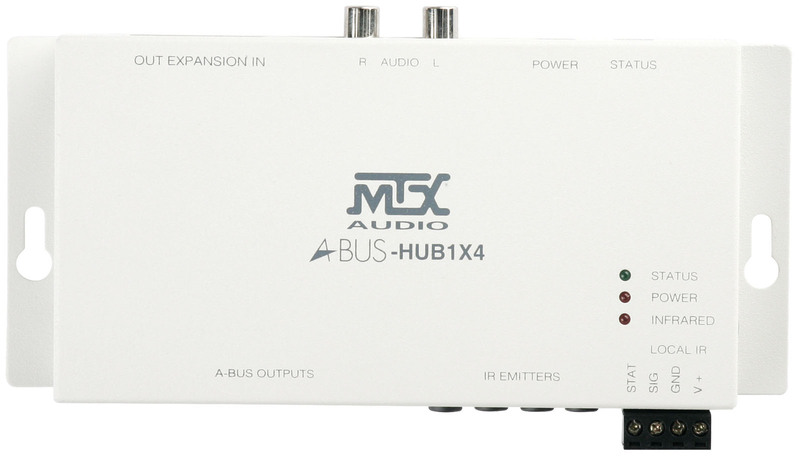 The A-BUS hub is usually located near the main sound system (Amplifier/Receiver, CD, DVD, Tape, Cable, etc.). The ABUS-HUB1X4 has 1 input and 4 zone outputs. An expansion port (IN/OUT) allows multiple hubs to be connected to expand the system for installations larger than 8 rooms (Power supply and remote included).